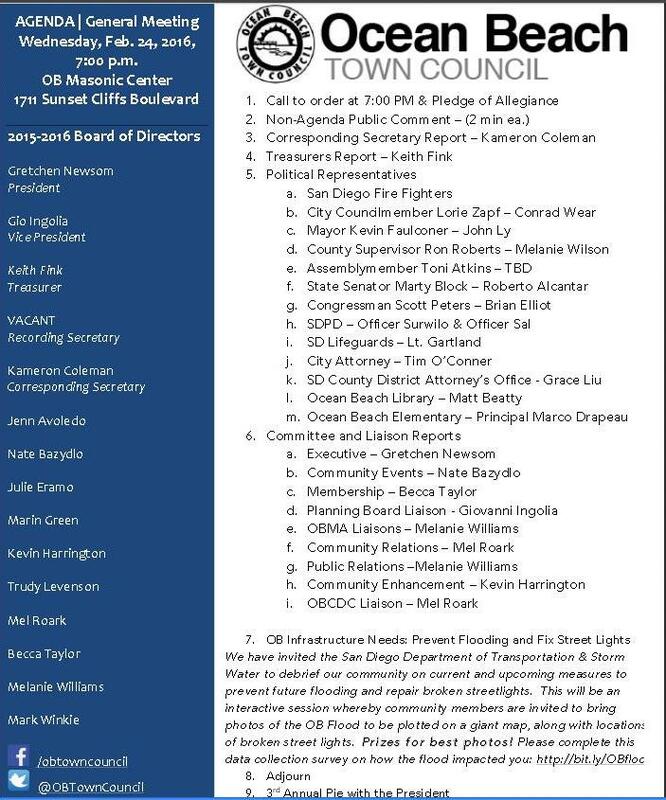 Wednesday’s meeting of the OB Town Council – the 24th – will feature City representatives on preventing future flooding and repairing broken streetlights. Five hundred sandbags have been promised to be handed out as well by Lorie Zapf’s office. Plus the “Annual Pie with the President” will conclude the meeting – held at the Masonic Center, Sunset Cliffs and Santa Cruz. 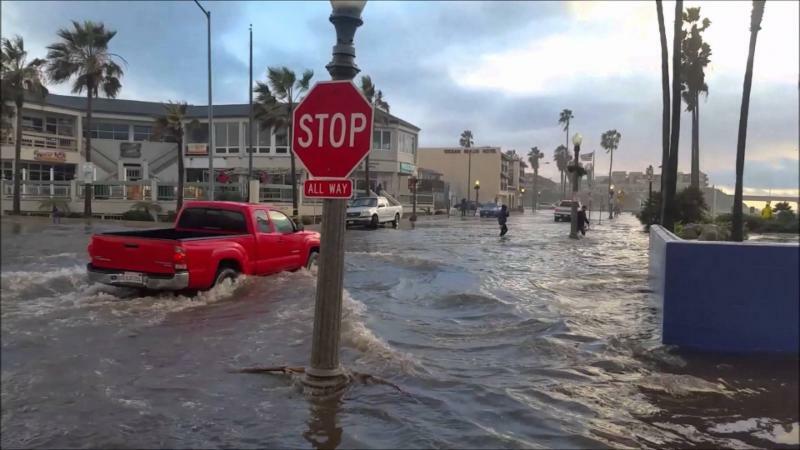 The Town Council has invited the San Diego Department of Transportation & Storm Water to debrief our community on current and upcoming measures to prevent future flooding and repair broken streetlights. This part of the meeting is intended to be an interactive session whereby community members are invited to bring photos of the OB Flood to be plotted on a giant map, along with locations of broken street lights. The Council promises prizes for the best photos. Also, the Town Council is asking everyone to please complete this data collection survey on how the flood impacted you. Additionally, Councilmember Zapf’s office will distribute 500 sandbags at the meeting. After the meeting adjourns, the audience will be invited to feast with the ‘3rd Annual Pie with the President’ – and are asking folks to bring their best pie to share with the OB Community. The OB Town Council hosts these public meetings once a month on the 4th Wednesday, except November and December. Regular speakers include local leaders, political, business and SDPD law enforcement representatives, as well as members from all corners of the Ocean Beach community. Whether you’re a long-time OBcean or just want to learn more about OB, all are welcome.